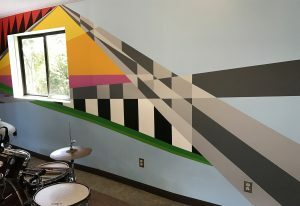 Another amazing journey to New Summit Academy to create “Rhythmic” on the walls of the Music Resource Center. 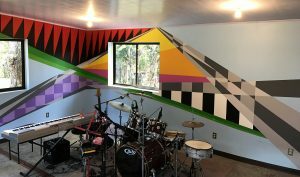 The mural will be a reflection of the energy created in the building and a permanent installation for students to enjoy for years to come. Thank you to Pete and the New Summit Academy Team for this amazing opportunity. Mission Statement: NSA nurtures and empowers students toward healthier lifestyles through processing experiences and solving problems to become more relationship-based, goal-driven, resourceful global citizens. 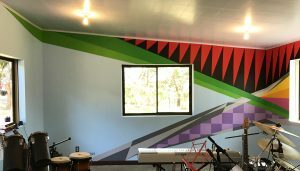 Located in a beautiful mountain town in Costa Rica, NSA is an independent, year-round, personal growth boarding school for teen boys. NSA offers an excellent environment for developing personal insight, engaging in college preparatory academics, and growing from adventurous experiential education.